Here’s a shot of Pyramid Lake that I took a few weeks ago in Nixon, NV (Paiute Nation). Beautiful blue desert sky and lake, and you can see the little pyramid on the side closer to the far shore. Absolutely gorgeous out there. 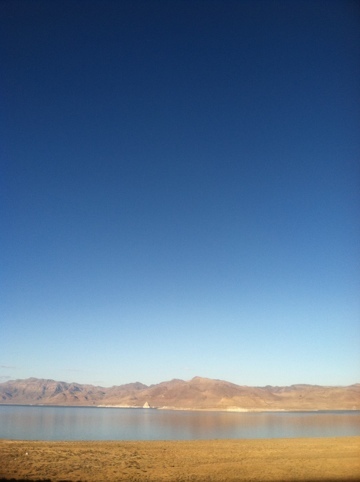 This entry was posted in iPhone, Nevada, Photography and tagged desert, lake. Paiute, Nevada, nixon, pyramid. Bookmark the permalink.